I’ve seen these before, I thought to myself. Those are the quirky tripods, with bold colors, that make them look as much like photo toys as serious gear itself. Here or there, I’d seen them in person. Hmm, decent build quality, solid enough, but still a usable size…. hence my dilemma. I needed a tripod to go backpacking with. When you search for “backpacking tripod” in Google, you get this. Makes sense. 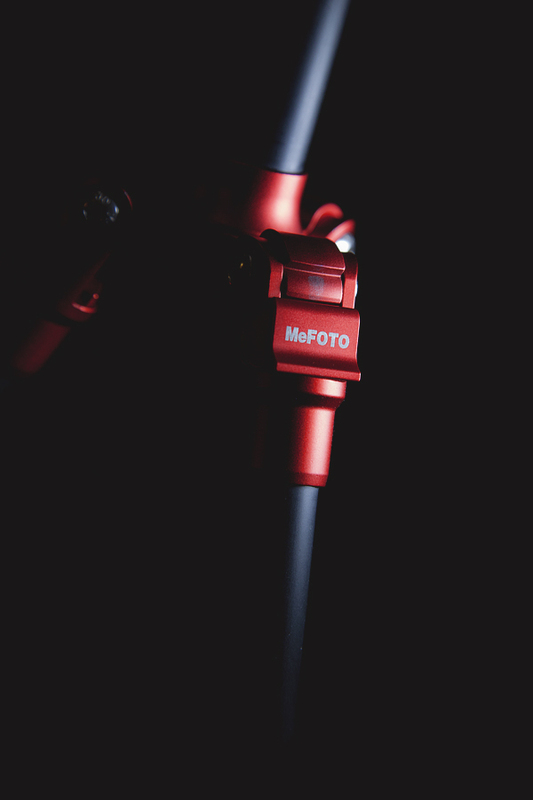 It is called the MeFOTO Backpacker Tripod after all, and a product named as such should follow suit. But does it deliver? Further, does it do it well? Most likely. After conducting loads of research and stressing out over the options, I arrived here, typing this review post-use of the thing itself. Firstly, I needed something solid, light enough to attach to a backpacking pack, but with minimal features and constructed well enough to stand up to the pesky dust and rock (even moisture) that tends to hang around hiking trails and those weird things called mountains. Made out of lightweight aluminum, each joint and turny-thingy are pleasures to use. Well dampened, and so far, not loose, I have a feeling they’ll stand up to repeated use of throwing around a campsites and hanging on cliffhanger style to the back of my bag. The leg extenders work with quick flicks of the wrist. Although it takes some getting used to, deploying and setting the tripod to your liking to get the shot is quick and easy. Another plus, it seems the bottom tips of the legs are prone to resist moisture. Having dunked all of the legs in a chilly river, I see no reason for concern on anything being rusted. That was several months ago and since I’m no scientist, my guess is that they’ll be good to go for a while. Just don’t take this swimming or defend your girlfriend against sharks with it. The ball head is equally a joy to use. Gears have a nice feel, without being the least bit cheap. *UPDATED – One quirk I find almost a complete danger to owning the tripod: On my version, the legs are weighted enough, so that once you lift it up they fall down slightly. Normally not a big deal, but this falling action engages the leg-lock, just a TINY bit. This means that once you set it down again, you do run the risk of having your camera do a face plant, since the leg-lock is leg and able to bend. Like mine did, with a brand new lens attached. Ouch. MeFOTO, if you’re listening, fix this now. *I have since fixed this issue. All that needed was a quick tightening on a few of the leg screws. Although I think this fix is all that it needed, I am a bit concerned the screws will loosen with use. For now, this has completed cleared up the issue! That being said, overall the MeFOTO Backpacker is handy, compact and worthy of a spot in my bag. This little guy is coming to Iceland with me. Hope he survives the cold.